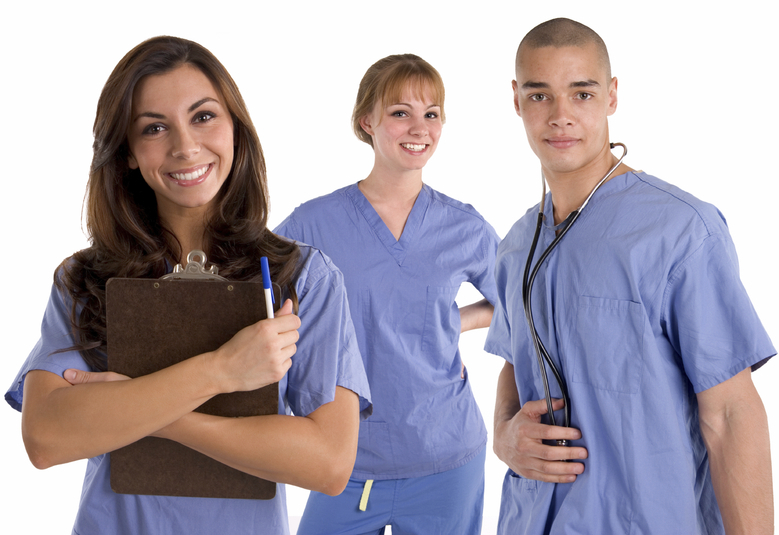 Employment as a Nursing Assistant offers you a unique opportunity to explore many avenues of the medical field. You will primarily be working with the patients, their families, and the Nursing staff. However, it is not uncommon that you will have interactions with many other areas including physicians, X-Ray, surgery, specialists, and emergency staff. Since you will be working with so many types of individuals, having quality communication skills is a vital quality to have for being an effective Nursing Assistant. You will be responsible for meeting the basic needs of your patients including feedings, bathing, and dressing. They level of care with vary depending on the individual needs of the patient. In addition, you will be providing them and their family with emotional support. Your position will involve working closely with the Nursing staff on a daily basis. This will be the medical professionals you deal with the most. From providing vitals for all patients to offering assistance with whatever comes up, the nursing staff needs to know they can rely on you. This means showing up as scheduled, completing your tasks to the best of your ability, paying attention to detail, and being willing to work as part of a time. Depending on the type of medical facility you work in, physicians of the patients may be stopping in to check on them. They often as questions of the Nursing Assistant. For some, this is intimidating. If a physician is asking you for information on a patient, take it as a compliment. Physicians often recognize Nursing Assistants as having more one on one interactions with the patients. Therefore, things that you observe can help them with treating the patient. For example, a doctor may prescribe a new medication. You will be able to let the physician know if the appetite of the patient has changed as well as if the patient’s level of being coherent has changed. Working in the medical profession, you will be exposed to a variety of other staff from different medical fields. This is because of the changes in the needs of your patients. You may be asked to take patients to X-Rays or to help get them prepared to be moved to the surgery unit. There will be an array of specialists checking on patients, again based on the individual needs of those you are serving. Working with emergency staff is very important. Their interactions can make all the different in some situations. It is vital that you are trained on when emergency staff should be called. You need to have detailed information of where to call, who to call, and what information to give them. This should all be secured prior to any event actually happening. In this type of situation, you will need to work with emergency staff to provide information. Anything you can tell them about the events that occurred as well as the events before the incident took place can be of importance. The role of a Nursing Assistant is one of many hats. You will have the opportunity to provide quality care for patients as well as be exposed to many other arenas of the medical field. The more you are able to effectively communicate with these other professionals, the better service you will be providing to those in your care.